At the Law Office of Brenda Murzyn, we take pride in our commitment to provide responsive, personable, and accommodating services throughout every step of the legal process for each of our clients. Our firm's attorneys and staff will treat you like family, all while ensuring that we deliver the protection that you are entitled to. From residential real estate transactions to litigation, our experienced legal staff combines personal, innovative service with hard work to offer our clients unmatched attention to detail. 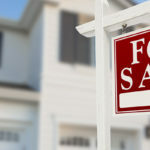 Contact our Naperville real estate law firm and learn more today!